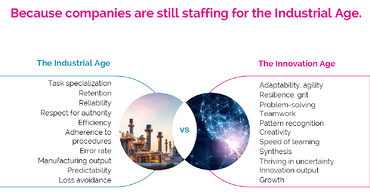 So many organizations struggle between aligning their strategic goals and how the innovation activities can truly fit to achieve the level of contribution and innovation that is expected. According to numerous surveys, it seems innovation fails to align potentially good ideas with the actual valuable contribution it provides. Instead of advances strategic goals, they often only contribute to operational objectives; growing and protecting existing business. To avoid this problem, the Choice Cascading Model provides an adaptive method for allowing innovation to flow from the top. Before we get into the details, let's first examine this problem. 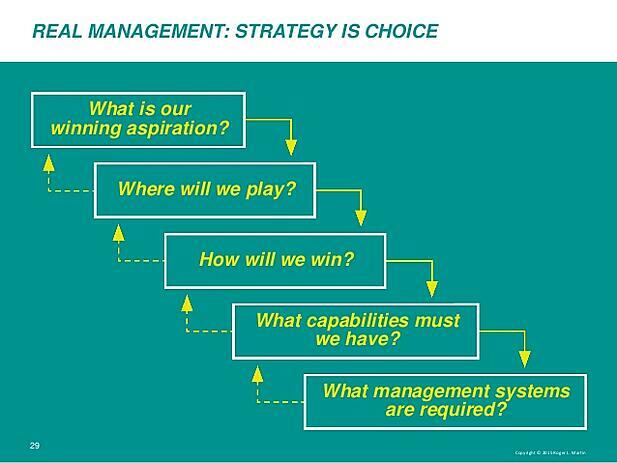 Strategies should clarify the “how and where to win”, and this often boils down to choices. Choices that are tough ones to make and always promote the effect of ‘push back’ as no one likes making choices when they involve risk, uncertainty and challenge your perception of the future. 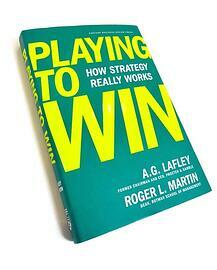 There was a good book by A.G. Lafley (Executive Chairman of Procter & Gamble) and Roger Martin (ex-dean of Rotman School of Management) called : Playing to Win : How Strategy Really Works, written in 2013, pointing out the difficulty surrounding choices and discussing ways to overcome it. It also explores why so many executives are equally muddling their thinking over strategy with their focus being placed far more on the execution, as they often think they know the market and the products best and determine execution as the strategic intent to achieve their goals based on this limited perception. It is also suggested that many organizations achieve only a part way towards a full strategic review and the actionable clarity to support this. They spend agonizing hours on the vision or the mission; they do all sorts of competitor and market analysis and keep putting together those annual strategic and budget plans, often simply based on the established repeatable process, often failing to recognize that changes occurring in the market have repercussions within the strategic analysis. There is the tendency to focus on the ‘standard’ outputs but these are only parts of what is truly needed as guidance and attempting to address many ‘fluid’ uncertainties. Annual strategic design tends to freeze and only permit limited revision on a rolling basis throughout the year, yet we are in far more disruptive, challenging, fluid and even transformational set of times, that need an ‘ongoing’ adaptiveness to the issues that can have potential impact, and need urgency in response. The end result irrespective of its process, is that strategy must be distinctive and coherent and then you can switch to focus more on the execution part of building compelling value propositions, understand the distinctive capabilities you need to build and have in place as your thinking has become more sharply defined. One critical component is the ability to communicate this throughout the organization but is the organization equipped to relate or interpret this? Do they recognize what needs to change, be challenged or reviewed that aligns to this strategic need? A suggestion made specifically by A G Lafley, is for organizations to build and develop a whole cadre of strategic choice-makers, knowing what it takes to win and relate and through this approach you encourage that strategy design and contribution becomes everyone’s job through a deeper participation and a more deliberate structure. The whole need of alignment has to be to produce a unity of action: the ability to translate top level strategy into series of actionable parts. Yet, it is still suggested that two-thirds of employees either do not know or understand their part within helping to achieve their organization’s strategy. They often feel no real understanding of their sense of purpose. Often this blocks a clear line of sight how they can translate primary choices into derived choices. One of the biggest inhibitors is that often most employees see themselves as simply cost centres, as they don’t participate directly in the generation of sales or revenue, yet they can become valued by looking at their contribution in a different way. If they become value centres with the specific purpose as to generate more value than they can provide - in service, in support, in response, then they become more engaged as they can see the servicing value as their contribution. The mentality shift on the contribution of their service brings the strategic need into sharper relief. We need to recognize that innovation is one of the hardest things to align to strategy. It’s inherently messy, fairly unpredictable and its team-orientated approach sometimes cuts across borders, challenges different established positions and seemingly conflicting priorities. It often challenges the status quo and can on certain occasions, potentially challenge the stated strategic goals as those ‘disruptive forces’ have not been addressed radically enough. We are constantly encouraging innovators to abandon their personal judgements, open themselves up to different possibilities. We ask innovators to keep resolute and keep trying, keep pushing the boundaries, challenging and sometimes disrupting the established practices and processes, organizations like to keep in place. The innovator is constantly dealing with ambiguity, managing a far more dynamic process of knowledge learning and investigating. Often this is in direct conflict or tension with the majority of the organisations need to extract the most efficiencies and effectiveness out of the established systems and processes. Strategic design often does not single out innovation as different, it expects it to comply. It is this lack of recognition that causes much of the misalignment, as it does not conform to the norm. Yet strategy and innovation have much in common. They are both dealing with uncertainties, attempting to quantify uncertainties and unknowns, working towards a future state that advances the business by identifying and capturing new opportunities. To achieve alignment, a cascade of better choices is needed that keeps mapping back to innovation activities and strategic need. This calls for the need of the choice-cascade model in which understanding flows through aligned cascading choices. Its aim is to empower firstly by prompting and encouraging different levels of sound or best judgement, to enable individual choices so as to allow for a ‘choice-maker’ to push this back upstream. Roger Martin and Hilary Austen have suggested “the art of integrative thinking”. Choice options cascade down from the higher-order choices. These should set the context for and constrain (help in defining) lower-order choices. Choices become inter-related and need to fit context and constraints from this higher-level. If there is difficulty in the fit then the higher order needs urgently revisiting, hence the cascading effect is a constant, dynamic two way flow. Today, if we recognize change is a constant, flowing and rapidly changing part of how we do business, by having in place this choice cascading model you can unfreeze part of a strategy that is not ‘aligning’ with a changing world. It makes the decision making process more dynamic and allows for greater contribution to strategic choices and the innovation process can equally respond and align on a far quicker, adaptive path. To move towards choices that can outline desired outcomes and describe ways and means to achieve them allows for this alignment and flow of understanding. Water flows down but it is the feedback cascade, where the real fate of change and realization resides, needs the mechanism or process to return to the top. You gain alignment through this method. To encourage alignment, they need to be explicitly linked to key desired behaviours, determined by the needs of the individual organization. Alignment needs to equally map back to a high consistency in core values expected in practicing, as important. I would suggest a good innovation governance design significantly helps this. This is where building the innovation culture, the environment it works within and the climate that is encouraged prompts the dialogue, conversation and engagement. Underpinning this alignment within the cascade’s design and identification, you equally build a ‘belief’ audit. Its aim is to uncover where alignment is achieved, misunderstood and equally highlights where it needs a better bridging mechanism and most importantly, where there are critical misalignments to be addressed at a higher level. 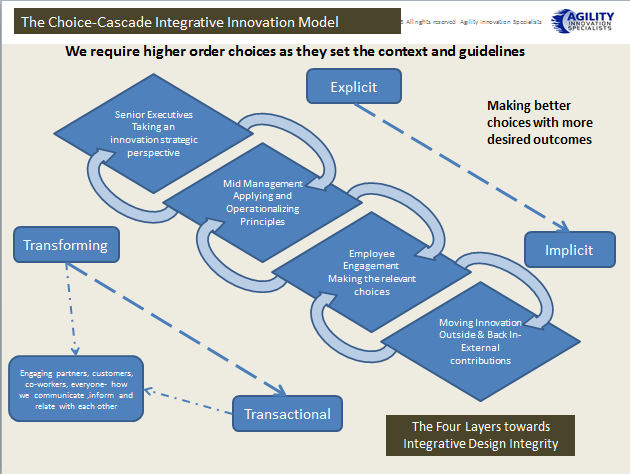 This belief audit strengthens the choice-cascade model as it opens up the dialogue surrounding innovation and its strategic (or operational only) alignment. 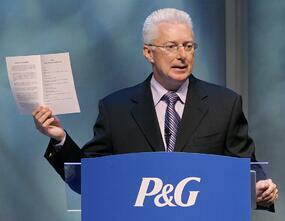 How can innovation get squared away with strategy? As I mentioned earlier it is getting innovation into this ‘choice mentality’ on where to play and what seems to be the real wins by providing as much understanding of the judgement of why it contributes to the strategic goals. You align it or ‘flag’ it. Clearly if you lack this deep understanding of how the organization’s strategy was brought together, the thinking behind it, then innovation will often fall short in delivery, as it can’t have enough of the understanding to be aligned. Making hard choices is tied to aspirations of knowing where you want to place your bets, to win. Often it is within the strategies lies the potential new spaces to play. Strategy informs innovation. It becomes the catalyst of where-to-play and how-to-win and with this you are giving innovators a better chance to deliver back concepts for those hard choices to be made, designed around innovate concepts that align and feeds the strategic design with winning designs. A useful resource is the 'The Art of Integrative Thinking' by Roger L. Martin and Hilary Austen, which can be downloaded here.